Bristol is a suburban city located in Hartford County, Connecticut, United States, 20mi southwest of Hartford. Explore the numerous day-trip ideas around Bristol: Norman Rockwell Museum (in Stockbridge), Walkway Over the Hudson State Historic Park (in Poughkeepsie) and Franklin D. Roosevelt Presidential Library and Museum (in Hyde Park). Next up on the itinerary: tour the pleasant surroundings at Stanley park and find something for the whole family at Six Flags New England. To find maps, reviews, traveler tips, and other tourist information, refer to the Bristol road trip tool . Newark to Bristol is an approximately 2.5-hour car ride. Expect little chillier evenings in Bristol when traveling from Newark in November, with lows around 32°F. Finish your sightseeing early on the 2nd (Sun) to allow enough time to travel to Kissimmee. Change things up with these side-trips from Kissimmee: Dunlawton Sugar Mill Gardens (in Port Orange), Ron Jon Surf Shop (in Cocoa Beach) and Ponce de Leon Inlet Lighthouse & Museum (in Ponce Inlet). Plan for a day of cool, family-friendly fun on the 7th (Fri) at Legoland Florida Resort. 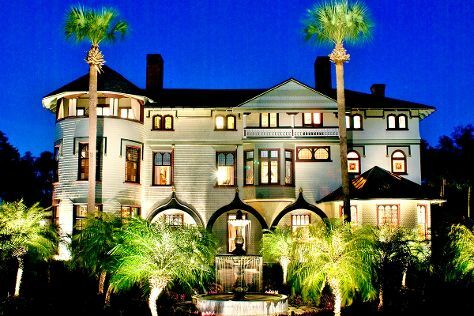 The adventure continues: contemplate the long history of Stetson Mansion, have fun at Machine Gun America, look and learn at NASA Kennedy Space Center Visitor Complex, and enjoy the sand and surf at Beach at Daytona Beach. For reviews, more things to do, and other tourist information, read our Kissimmee day trip site . Use the Route module to find suitable travel options from Bristol to Kissimmee. Prepare for much warmer weather when traveling from Bristol in December: high temperatures in Kissimmee hover around 76°F and lows are around 59°F. Wrap up your sightseeing by early afternoon on the 8th (Sat) to allow time for travel back home.